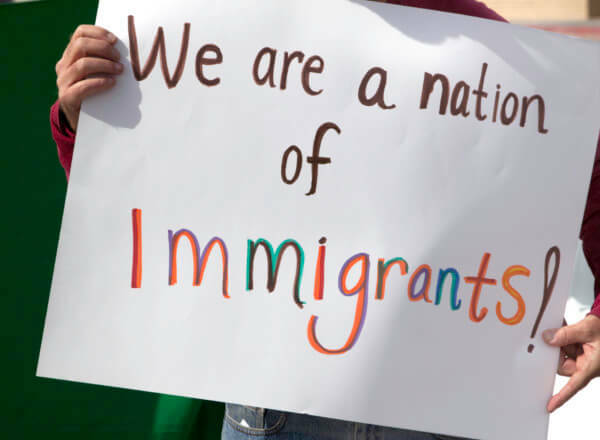 At a time when the human impact of policies separating and detaining families at the U.S.-Mexico border is dominating our airwaves, conversations and thoughts, Rose Community Foundation stands with many of our peers in the local and national philanthropy community in speaking up for immigrant and refugee communities. This is not new territory for us. For the last two years, Rose Community Foundation has been using our voice, platform and grantmaking to help ensure that Denver is a safe and welcoming community for all through our Community Action Fund. These issues connect strongly with our own justice-oriented history and values while tangibly intersecting with our focus areas. Our longstanding work in the Health and Child and Family Development arenas with particular focuses on early childhood mental health gives us strong cause for concern regarding the trauma and toxic stress being inflicted upon children and families at the border – as well as those facing legal uncertainty in our community. The last few weeks have seen a growing bipartisan outpouring of concern and outrage regarding the impact of separation and detention policies and practices. Many people in the Greater Denver area and around the country have been looking at how to make a difference with their philanthropic giving. So, too, have we. Rose Community Foundation has also supported nonprofits working with parents detained in the Denver Contract Detention Facility, including RMAIN and the Colorado Immigrant Rights Coalition (CIRC). If you are looking for local ways to philanthropically engage with legal work around immigration issues, please join us in supporting these aforementioned organizations doing critical work in our community. If you are looking to support family reunification efforts at the border, here is one of many online lists of organizations doing work in this arena.